Christmas is my favourite time of year, and it’s always extra special when it involves travelling home for a prolonged holiday. This year I’m spending over two weeks in Manchester, and I’m trying to make the most of it, not only by spending quality time with my loved ones but also (and perhaps more importantly) by eating all the delicious food I’ve missed in Prague. I was especially delighted to see that one of my favourite eateries was putting on Christmas dinner while I was home, and opening it up to smaller parties rather than just large groups as is sometimes the case. As Dr HH and I are spending Christmas apart, we decided to celebrate our own little Christmas Day last week with a feast at Teatime Collective and a trip to a galaxy far, far away. It was a magical day, of course. And here is the food part! We agonised over the menu for a few weeks before placing our order in advance. There were three options for each course, and we decided to split the starters and desserts so we got to try a few different things. So for starters we shared salt and pepper tofu, and ‘cheese’ and walnut ravioli in leek sauce. 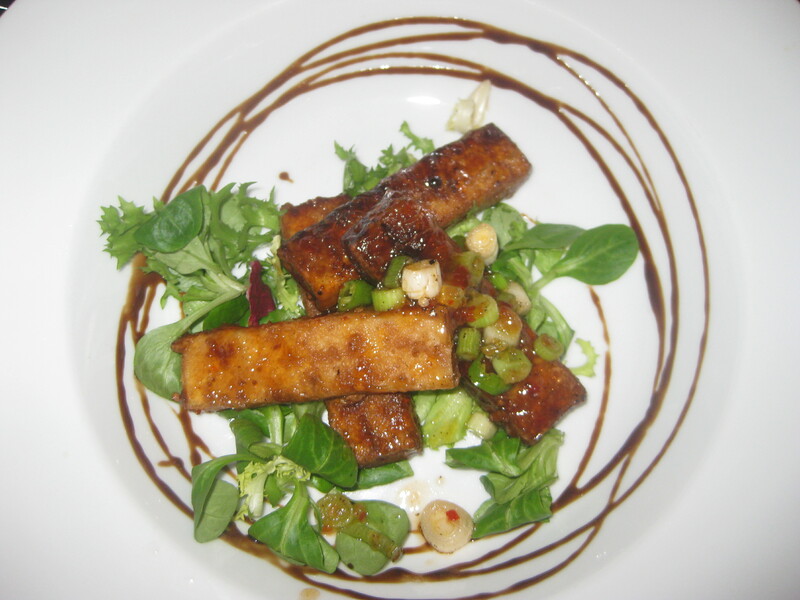 The tofu had the best texture, it was fantastic – but a bit too spicy for me. 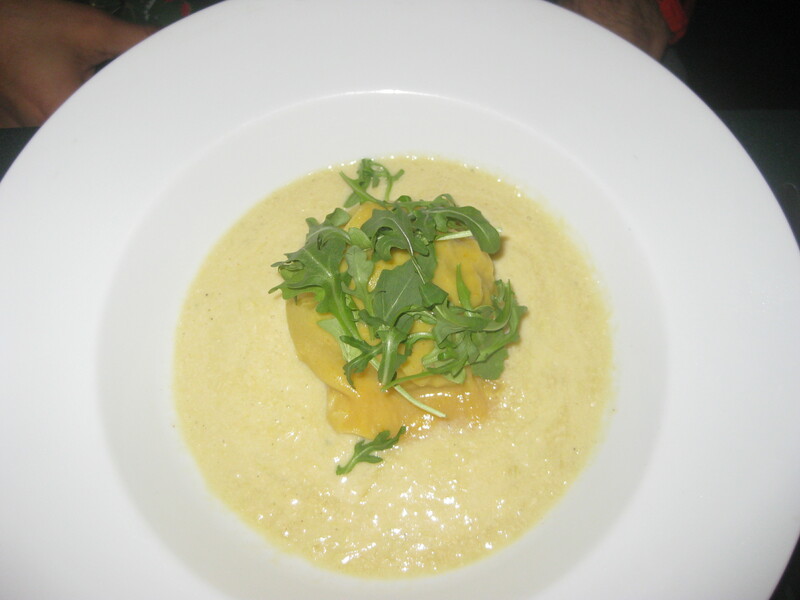 The ravioli was beautiful, really flavoursome and a little crunchy from the nuts. For the main event, we both ordered the Christmas dinner, but Dr HH chose the ‘chicken’ pot pie while I went for the ‘beef’ wellington. They were hearty plates! The meaty elements were really good, as was the gravy. I’d never had a pig-in-a-blanket before, meaty or otherwise, so that was rather exciting. It was surprisingly delicious! 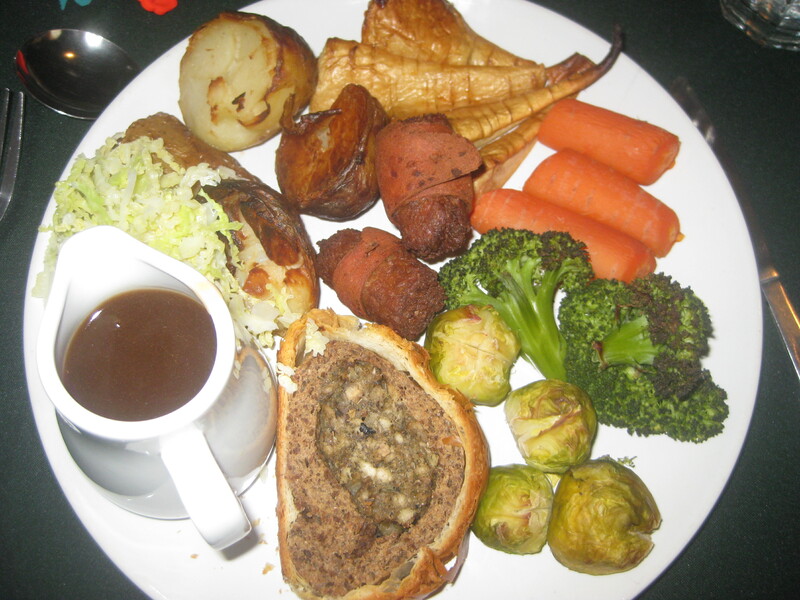 The parsnips were roasted to perfection, but the potatoes were a touch overdone and the other veg a little uninspired – obviously the chef had a lot to deal with already, so I can understand simplicity, but I wish the carrots had been roasted too and the cabbage seasoned a touch. Still, these are minor gripes: it was good, traditional Christmas fare. This is not something I say often, but I actually struggled to fit in a dessert. Once again, we’d ordered two and planned to share them, but I could barely eat the chocolate and hazelnut torte, it was so rich and creamy. It was one of the best desserts I’ve ever encountered, but it was just too much on top of all the food we’d just eaten. The real highlight was the base. I find most vegan cheesecake-style desserts are too soft and spongy at the base, whereas this seemed like crushed Digestives, which is exactly as it should be. The sticky toffee pudding was equally indulgent, but not too rich that I couldn’t eat it comfortably. 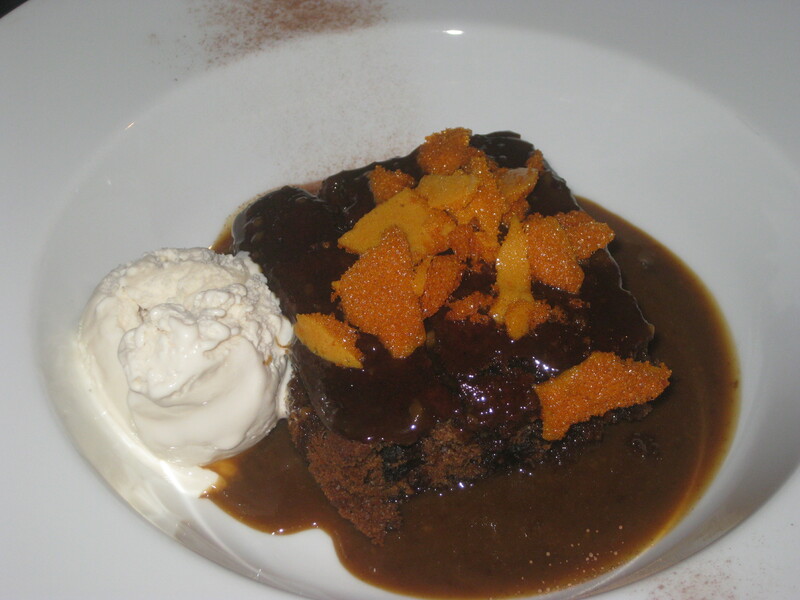 I love sticky toffee pudding so much, and this one was spiced to perfection. The sauce was sticky, the ice cream was creamy, the honeycomb was delicious. This may be a late contender for the best dessert of the year, it was truly sublime. We paid £20 a head and were so full we could barely move afterwards, which I’d call real value for money. I’d recommend Teatime Collective to anyone visiting Manchester, but especially for their Christmas feast. Places that go that extra mile at Christmas are always worth seeking out and supporting, moreso when the food is this delicious. 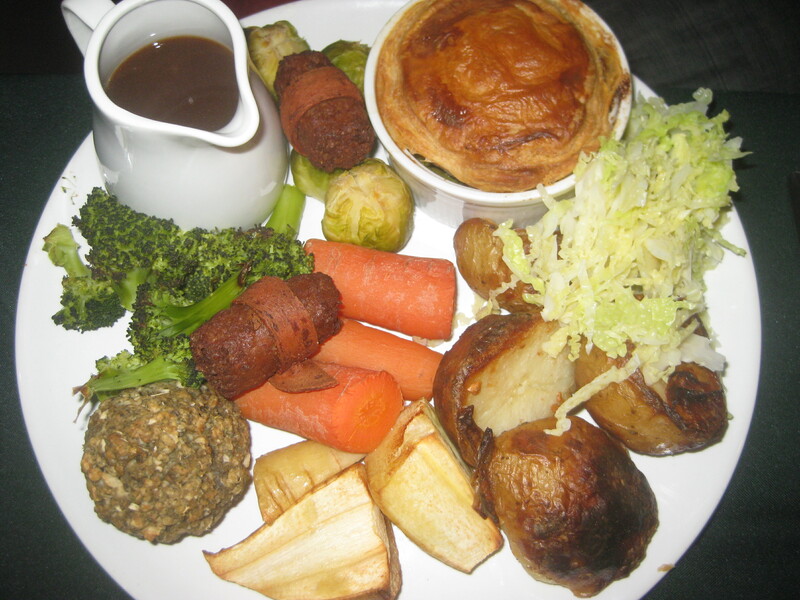 This entry was posted in Travel and tagged Teatime Collective Manchester, vegan Christmas, vegan Manchester. Bookmark the permalink. It’s great all year round, but extra special at Christmas! £20 for all that sounds like a complete bargain! I’d be so upset if I had to skip out on pudding though – note to self: if I end up at Teatime Collective one day, I’ll bring an extra stomach for dessert. 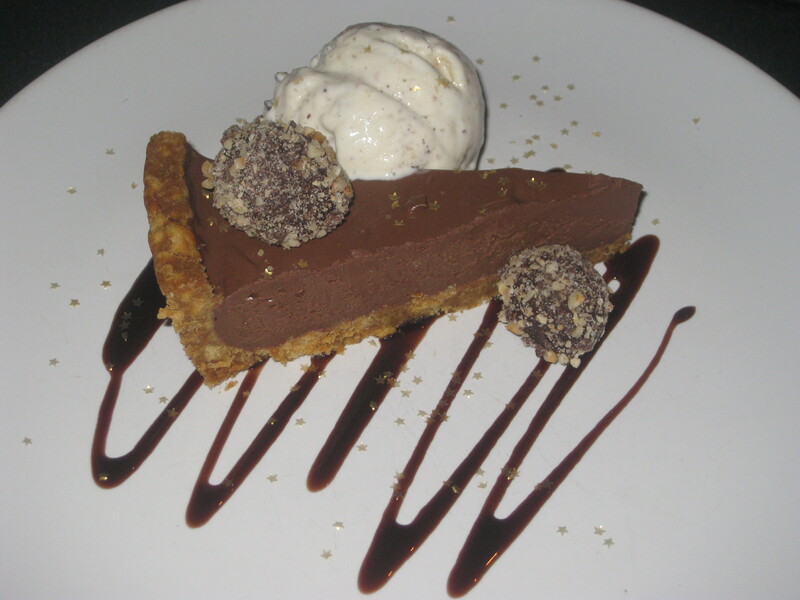 I just read another review where someone managed to takeaway the dessert, so that’s always an option! I suppose having three last year balances it out, at least! This food looks amazing and a bargain. I would defiantly have to ask to take some home. It was such great value for money!